Having had a lot of good pre-release publicity, Gallants had a lot to live up to but succeeds admirably as being a fun, witty film with a nostalgic wink to past Kung fu cinema glory. Wong You-nam is a loser named Cheung. Working at a real estate company he’s sent to a small village to help buy out tenants for a new development complex. One of the tenants is a tea shop that used to be a martial arts club, still being run by two of its old students. 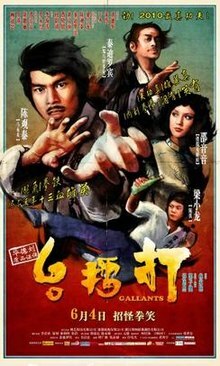 Tiger (“Bruce” Leung Siu-lung) and Dragon (Chen Kuan-Tai) are both nearly sixty, but they keep faith with their old teacher, Master Law (Teddy Robin Kwan), who has been bed-ridden for thirty years after slipping into a coma after an epic duel. Cheung finds himself siding with the underdogs when a plan to steal the lease to the shop goes wrong, the master comes out of his coma and the battle lines are drawn over who will eventually own the land. 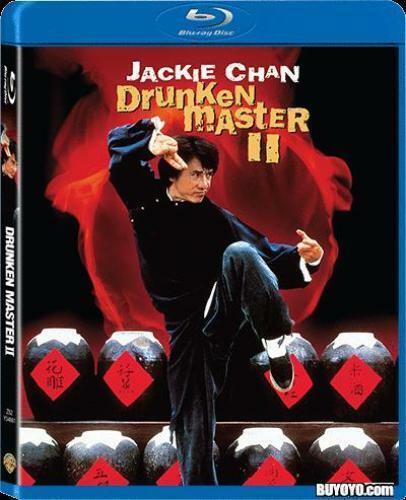 While the plot isn’t up to much the charm and the acting involved bring it above the norm, Teddy Robin is hilarious as the old master who always has an eye for the girls, Bruce Liang and Chen Kuan Tai can still bust a move, amazing at there age, just shows what good Kung fu training can do for you! The fight scenes are done well, not over the top, more old school which works perfectly for the film. The cult status the film already has is well deserved and while not a classic, it is a refreshing change from the CGI enhanced and Epic war films that seem to have been all that’s been produced in Hong Kong lately. The DVD released in Hong Kong is region free and as expected good quality with an anamorphic transfer, Cantonese / Mandarin language options with English subtitles. Sadly no Blu Ray release yet. Also available in the UK (Region 2 ) and the USA (Region 1). Buy it you won’t be disappointed.